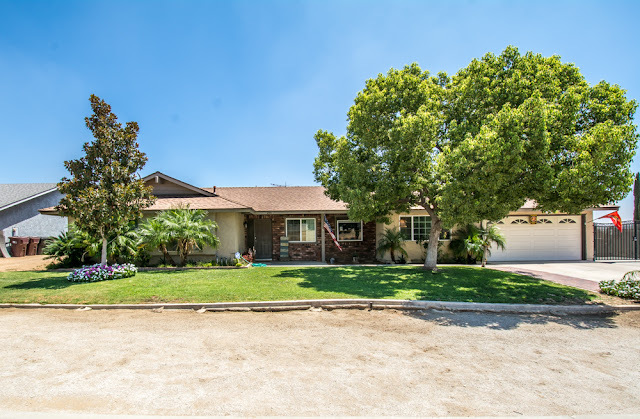 Celina Vazquez Represents this gorgeous single story California Rancho Style Horse Property located in the desirable community of Sky Country JurupaValley. Featuring 4 bedrooms, 2 bathrooms, bonus room and 2 car garage with RV parking in a half an acre lot. Spacious kitchen with granite counters and newer cabinetry, large living room with wood burning fire place and open concept to the dining room. Tile and carpet flooring and remodeled bathrooms. In addition to that the bonus room one of the biggest room of the house can be utilized as a bedroom or family room. SkyCountry Community is a very special ranch-style home located right next to Eastvale and all the homes are built with half of acre or larger lots. This beautiful community is surrounded by recreation facilities that suit every phase of outdoor activity, riding, boating, camping, hiking and golfing. You are within an easy driving distance of lakes, rivers like the Santa River, desert and mountain resorts. This is a unique community in that there are many horse-friendly properties and big lots near urban areas, the freeways, and shopping. Most horse properties in other areas require a lot of travel to get to the amenities that you need, simply because all those large lots are located far from the city. There’s no need for that! In Sky Country, you can get the best of both worlds – a sprawling lot of a country ranch just a stone’s throw from all the important urban locations that you need to access. Banking, shopping, groceries, schools, and more are within easy reach. SkyCountry is a ranch-style community conveniently located with the close proximity of the 15, 60, 10 and 91 freeway. Its location is very advantageous for business commuters who travel to major employment to Riverside, SanBernardino, Los Angeles and Orange County. The Metrolink station-running rail serves to the greater Los Angeles area. SkyCountry Community offers large estates size lots and are horse properties in a rural environmental but within minutes from the city. Laramore Park is an Equestrian Park located inside of SkyCountry Community which facility is available for you to drop-in use and can follow the horse trails across Sky Country. The Santa Ana River is within minutes, which has a facility available to park your truck and trailer for the day and access the horse trails along the river. Jurupa Valley High School, Mira Loma Middle School, and SkyCountry Elementary are the schools designated to the Sky Country Community. Wineville & Vernola Family Park is located within minutes of the house. The Eastvale Gateway shopping center is a power center with stores like HomeDepot, Best Buys, Target, Homegoods, DressBarn and fine restaurants for dining like Carino’s Italian Restaurant, OnTheBorder, Pacific Fish Grill and Applebees are just less than 2 miles away. The Vernola Shopping Center with stores like Kirkland, Lowe’s, Bed Bath & Beyond, Ross, are just 2 minutes away from this gorgeous home. The Big League Dream Park is another park just around the corner from Sky Country and right next to JurupaValleyHighSchool. #Horse communities are scattered throughout the InlandEmpire and SkyCountry Community is one of them. In a city where lot sizes have shrunk steadily for the past two decades, this is a great opportunity to obtain your SkyCountry, JurupaValley home with great land. Contact CelinaVazquez at 909-697-0823 or email at [email protected] to schedule a showing.